It’s great to live in a community that recognizes when it has needs and then is able to bring in businesses that provides for those needs. That is exactly what Jim Hilliker did in 1976 when he realized there was a need for a high quality, quick-service restaurant here in Logan County. Better Food Systems, Inc. was formed in 1976 by Don, Jim, and Rick Hilliker. It started out as a family owned and operated business and continues to be so even today. 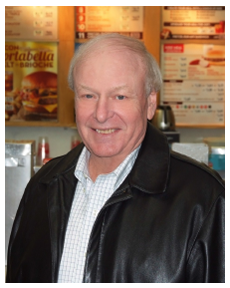 After years in the hotel business, the Hillikers opened their first Wendy’s in Bellefontaine. At the time, Bellefontaine was the smallest city to have a Wendy’s. Today Jim runs multiple stores and employs hundreds. 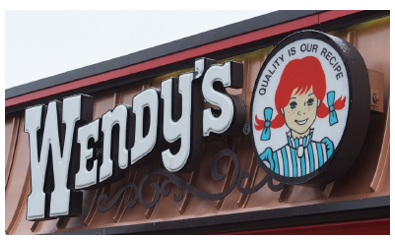 Currently the Wendy’s system includes more than 6,500 franchise and company restaurants in the U.S. and 29 other countries and U.S. territories worldwide. “Better Food Systems Inc. is one of the longest term franchise groups in the Wendy’s system,” says Jim Hilliker. When you say your product is the best hamburgers in the industry you have to stand behind your product. 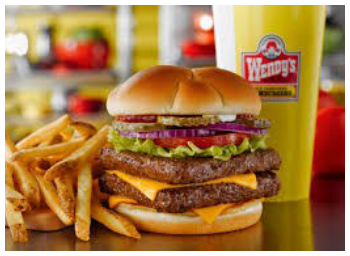 Something people may not know about Wendy’s is when we say “Quality is our recipe,” we mean fresh never frozen beef, fresh produce, fresh salads and hamburgers prepared hot off the grill when you order. As a successful entrepreneur we asked Jim if he has a unique marketing strategy or business model. Jim says, “It’s not important who comes in, it’s important who comes back in! Returning customers is our primary concern.” It’s that kind of sound advice that makes Logan County and our community lucky to have someone like Jim Hilliker. He has a great feel for business and has spent time helping others and offering advice to other small business owners or young entrepreneurs. Jim would also like to give thanks and credit to longtime employee Gary Lisi, who has been with him for the past 35 years and 30 of those as the Director of Operations. Also working for Jim is Chris Winch, CPA and Company Controller. Jim has been a quiet and strong supporter of Logan County through the years. Jim is a member of the local bar association and a past member on the Ohio State University Board of Trustees. Mr. Hilliker has personally and through his family been a large advocate for the YMCA. In addition Jim is very active in his church and a supporter of booster clubs, school athletics and recreational sports. The Logan County Chamber of Commerce would like to thanks Jim Hilliker for his dedication and support to Logan County and Congratulate him on being January’s Business and Entrepreneur of the Month.